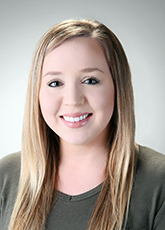 Jacklyn joined our firm in 2018 as a Staff Accountant. Previously, she worked as an administrative assistant and gained valuable experience in bookkeeping, payroll, and extreme multi-tasking. Jacklyn enjoys making lasting relationships with clients and assisting them with all their accounting needs. Jacklyn is currently attending Yakima Valley College and will obtain an Associates in Accounting and another in Business Management. After graduating, her plans are to further her education and receive her Bachelor’s in Accounting. When she isn’t studying or working, Jacklyn enjoys spending quality time with her boyfriend and their two children. Much of their time is spent traveling around Washington, down to California, and their annual trip to Las Vegas, Nevada. She has 16 pets, a mix of dogs, cats, and chickens, which also get her attention while she is home. Her life is a little crazy at times, but she wouldn’t have it any other way.